Don’t allow anyone else to tell you what should motivate you; only you know what gets you moving. 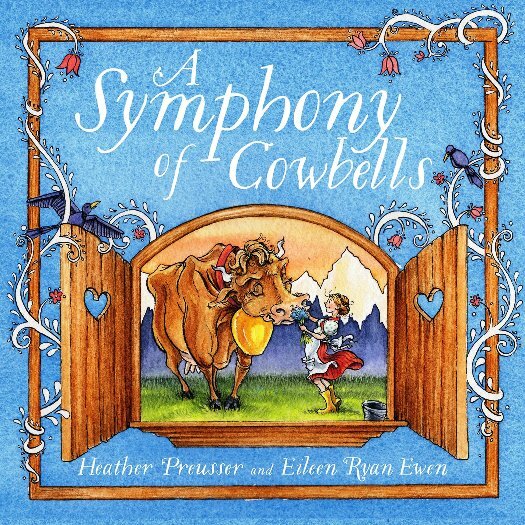 That is at least one premise of the unique and beautifully-illustrated new picture book by author Heather Preusser called A Symphony of Cowbells. When Elfi’s bell goes missing, everything is thrown off. She won’t work without the music that inspires her, and the other cows won’t move because Elfi inspires them…and if she is unhappy, they are unhappy. Petra and her father try offering Elfi a smaller bell that has a nice enough musical tinkle, but the only thing it inspires Elfi to do is stamp her hoof in disapproval. Now it’s up to clever little Petra to find Elfi’s original bell and return it to her so life can get back to the way it used to be. Even with the tinkle of bells, this is a quiet little book that conjures sweet memories of childhood and the odd little things that used to inspire us the most. Ms. Preusser’s onomatopoeia allows readers of all ages to actually hear the tinkle and brrring-bong of cowbells in their minds. The text is written in such a way that young children who have formed strong attachments to blankets, dolls or action figures (and who may, at this very moment, be struggling to go on without them) will relate to Elfi’s demand for the return of her own cowbell and no other. 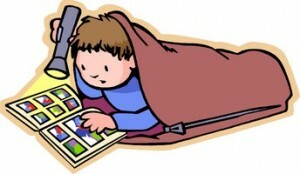 Even adults will appreciate the fact that we all have our own “muse” or inspiration, and no one else can dictate what that muse or inspiration should be. Eileen Ryan Ewen’s illustrations are a feast for the eyes. Rich with lovely blues, soft browns and sweet red’s, and brimming with old-world details, these illustrations are like a special gift to young readers eager to “see” the world in all it’s glory. Use this book to open discussions about the effect that music has on animals and humans; words that imitate sounds (onomatopoeia); how routines are formed; and how changes in routines can cause a domino effect.